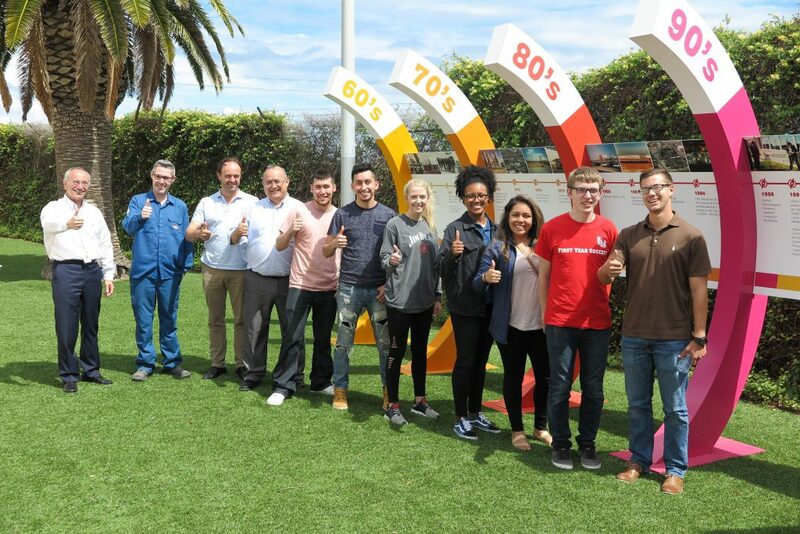 The Texan students during their visit to Dow Chemical Iberica. Seven students from the College of Engineering at Lamar University (Texas, EUA) have travelled to the URV to attend the Study Abroad programme A Primer in Engineering Management from 22 May to 1 June. The students are from the second, third, and fourth year of courses in Chemical Engineering, Mechanical Engineering, Civil Engineering and Electrical Engineering. The programme ended on Tuesday 1 June and its principal aim was to teach future engineers about business management and administration. The American students followed a project-based learning methodology. They worked in teams to find solutions to a particular problem that was presented to them. This involved a market study of the country which they compared with other countries in order to identify possible investment and sales opportunities. At the URV’s School of Chemical Engineering they completed five modules on Demand Analysis, Cost Analysis, Market Status, Logistics and Innovation. To acquire practical knowledge over the course of the two weeks and to learn how businesses function, they visited Dow Chemical Iberica in Tarragona, IKEA Logistics Centre and Lear Corporation in Valls, and Industries Teixidó in Riudecols. The URV economics professor, Bernd Theilen, coordinated the programme, which was also taught by professors Mònica Martín (Department of Economics) and Natàlia Lozano (Communication Studies). The programme’s cultural and leisure activities included visits to the Monastery of Poblet, Barcelona and Tarragona and a session on Roman engineering. The Study Abroad programmes help to internationalise the University and facilitate internationalisation at home. The URV Foundation is responsible for these managing the programmes.